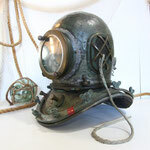 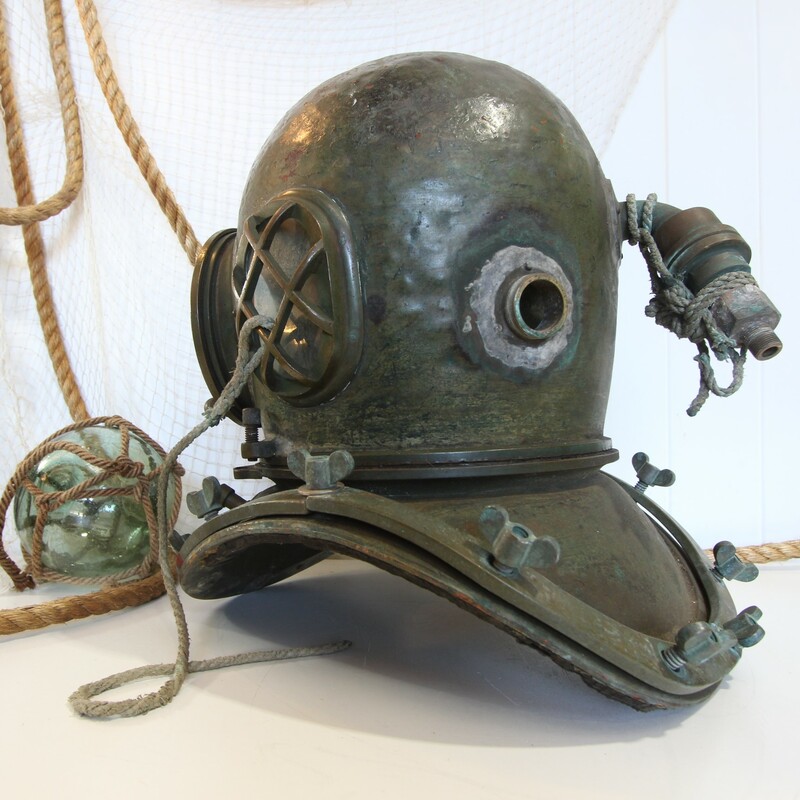 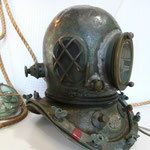 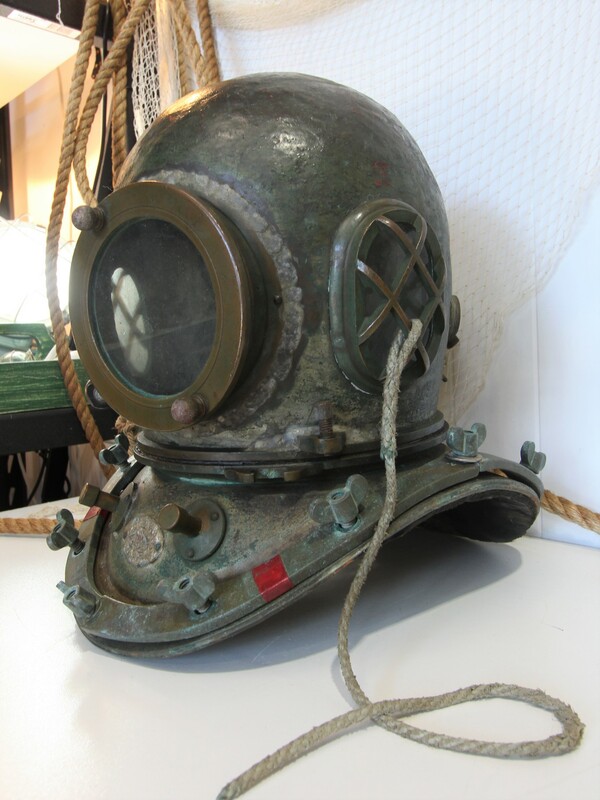 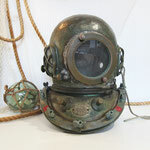 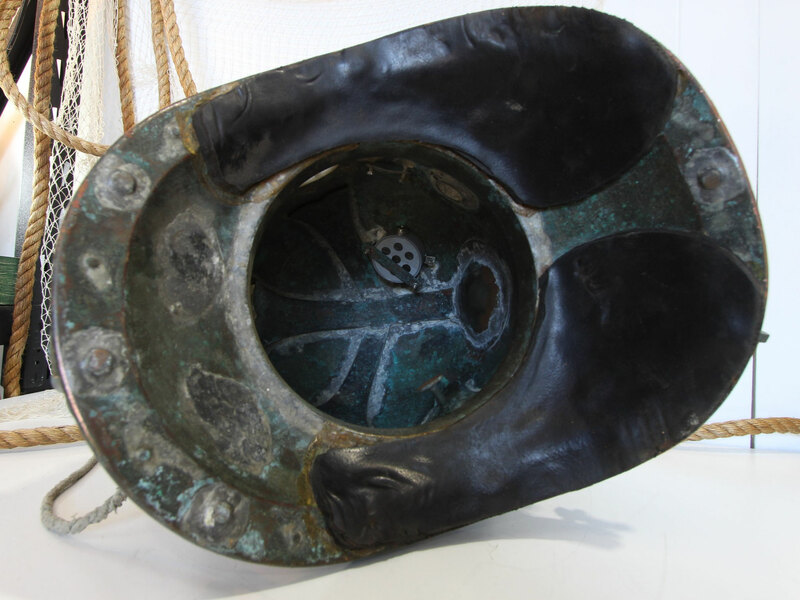 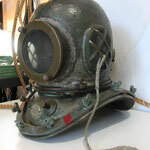 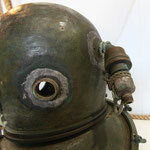 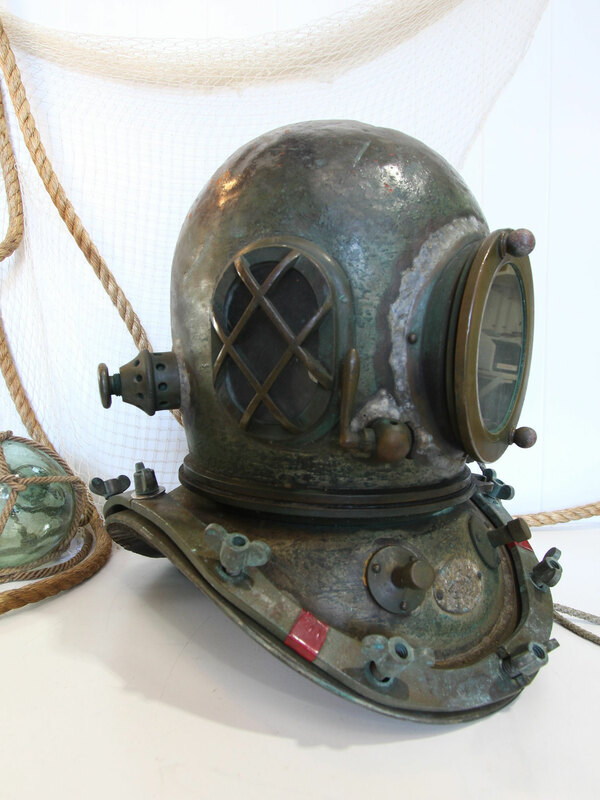 This fabulous old authentic Japanese dive helmet was used in the pearl diving industry, and was made in Japan by the TOA company which was founded in 1909 in Minamisenji. 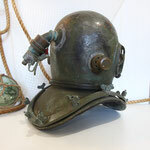 They manufactured 12 bolt helmets with round breastplate and also the square pearler type breastplate. As you can see in the photos, this one is a 12 bolt helmet and still had the original comms inside, suggesting it wasn't long ago that this helmet was still being use. 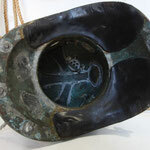 Made from brass/bronze it has developed a wonderful patina. It would make a stunning feature piece in any home or business.